Objective: World Soil Day celebration for imparting the knowledge and awareness about the scientific management of Soil Health for better productivity among the farming community. World Soil Day celebrated at KVK, Chamarajanagara in collaboration with Dept. of Agril. Chamarajanagara. There are 389 farmers and farm women participated in the programme. 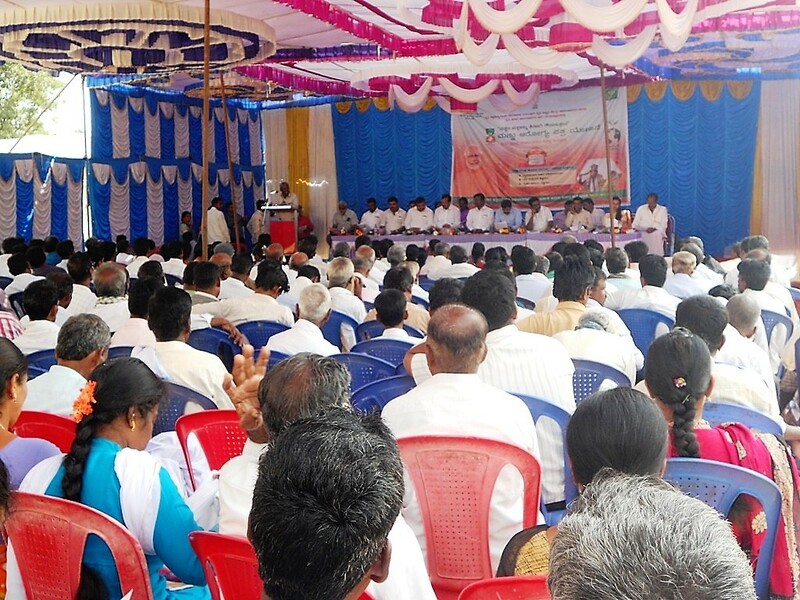 President, ZP, Chamarajanagara and other local elected representatives have been participated in the programme. Mr. GS Yogesh, Scientist (SS & AC), KVK, Chamarajanagara address the gathering about the importance of Soil testing and Scientific management of Soil health for better productivity.